It is hard to believe that this week is almost over. I hope you had a great one. I am working around the clock to get my lectures ready so I am not in the place to be glad that weekend is almost there. It started getting very busy all week, including weekends. Today I attended a farewell party of the project I used to work for. It was being held in a super cool "artists accomodation", with very interesting art all around the place. Needless to say it was unexpected and I loved it. I love Giorgio Armani Eye Tint formula and ended up with around 9 of those last year since they launched. They are easy to apply when I am rushing and they last long which is great for busy and long working days. That said I noticed that the formula is not very consistent. Some of them are more watery, some produce fall out and some are streaky (like the ones from Eclipse Collection reviewed here). These are being sold for 33€ a pop. I purchased most of mine with a 5€ reduction, which makes it around 28€. For this price they are great products. I can see myself buying Senso again and again. 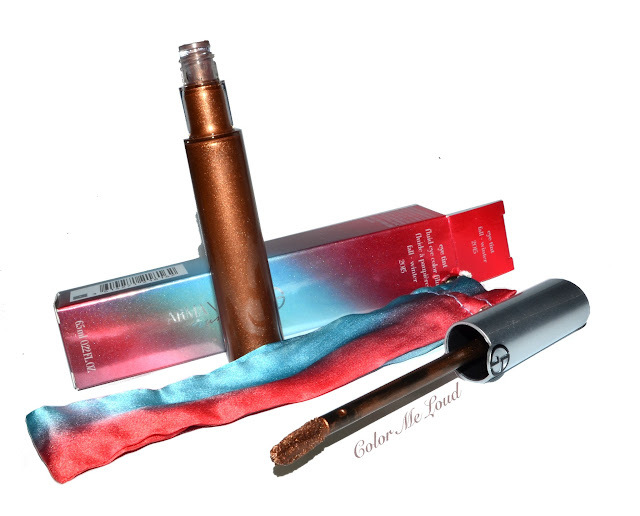 I was lusting over Giorgio Armani Runway Fall/Winter 2015 Eye Tint since the promo photos came out so when I say that it was released, I ordered it. But... I was very disappointed with the price. 45€ instead of 33€? Where does the 12€ difference come from? It comes in a sip pouch but I don't think it would justify the price. I remember the days Armani Palettes would cost around 70€ (like these two here were around that price two years ago). Then I have seen a price increase, up to 130€ at the moment, almost twice as much in two years and I really don't see a difference of the quality. What is driving the price? Good news though is that the quality of the eye tint is superb. It has very complex shimmer and it is even more opaque than Giorgio Armani Eye Tint #10 Senso but applies and blend beautifully. Still I don't understand the price but at least the product is very good quality. It is like more metallic and complex version of Tom Ford Cream Color Spice. I watched all of them together for you. The shade is a very warm copper. It is not orange, more golden. I believe it is going to be especially flattering on blue eyes. For the look below I applied it straightly on the eyes and blended the edges with a fluffy crease brush for a soft gradient. Giorgio Armani Runway Fall/Winter 2015 Eye Tint has a beautiful Fall color and great for a quick polished look. Here is me wearing the Giorgio Armani Runway Fall/Winter 2015 Eye Tint. 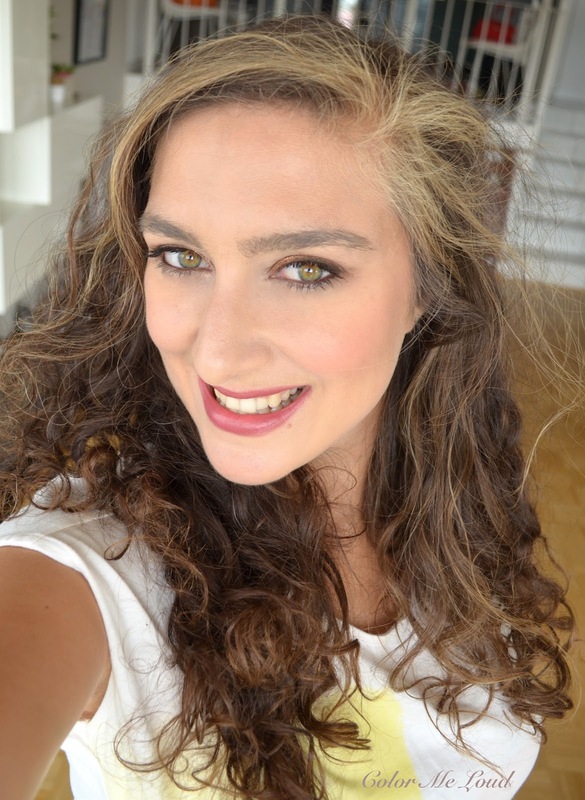 On cheeks I have Tom Ford Cheek Color in Ravish and on lips I have Dior Rouge Continental (reviewed here). Continental became one of my favourite lipsticks for this season. I also swatched the palette for you at the counter but it didn't call me enough to leave 130€ there. Last time after I purchased one of their palettes for this price (review here) I regretted it because I think the formula is not worth the price, not like the gel formula, like the Organica Palette, which is still one of my all time favourite Armani Palettes. Giorgio Armani Runway Fall/Winter 2015 Palette has two tiers, top tier is a very cool subtle blush for fair complexions or a face powder for the others. 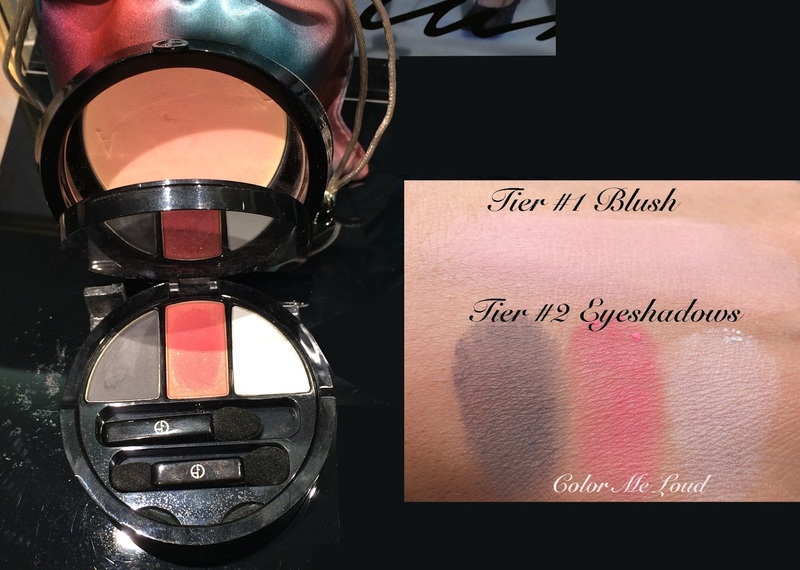 The second tier has three eye shadows. The middle one had an overspray but underneath it is a coral shade combined with cool deep taupe and almost white pale pink. The formula felt powdery and not all that special but the middle shade looks really cool and different. What do you think about this one, would you pay the price? Final thoughts: I love the texture, the complex shimmer and the ease of application of Giorgio Armani Runway Fall/Winter 2015 Eye Tint but I cant understand the price increase by more than 30%. Silk pouch is a nice addition but to me it is not a must. I hope Armani's price increase in the last two years doesn't go on with the same speed for the next two years. Paying 45€, which is almost the a price of a palette of a luxury brand feels already weird. Does price play a big role in your purchase or you are not very much concerned? Does price increase turn you off? I love this Eye Tint shade. Actually the GA Eye Tints in general are an amazing formula and are definitely something I'd like a couple more of. 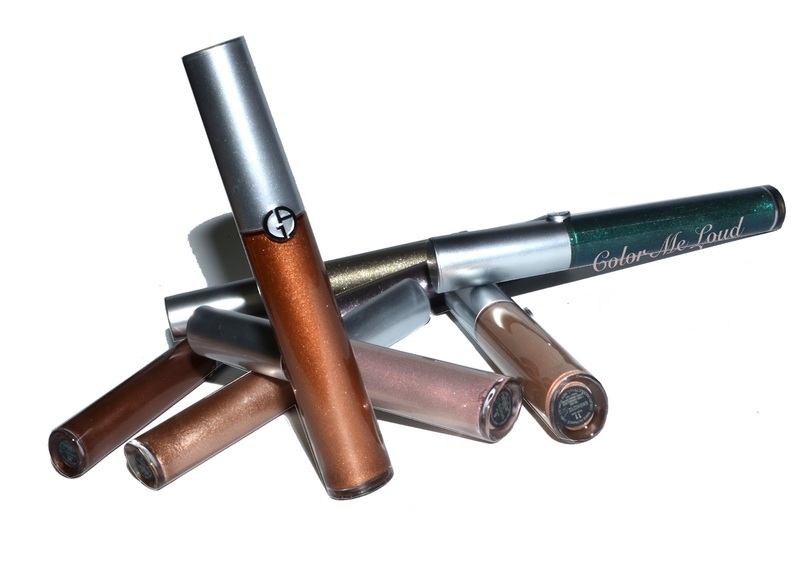 I love the GA Eye Tints, great for oily lids like mine. 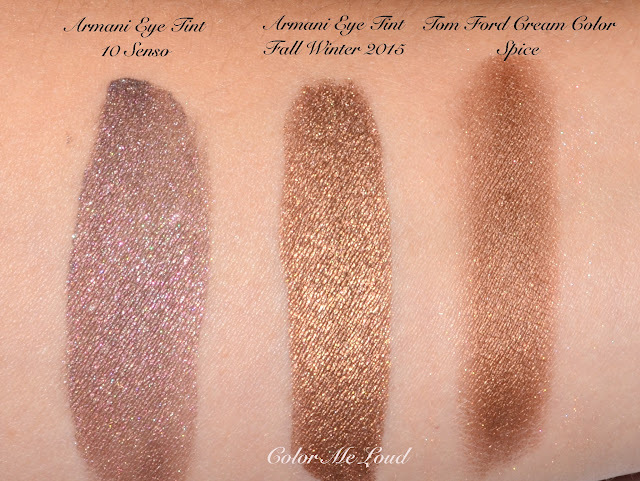 I have like 4 of them, and I was eagerly looking forward to this one, but I have a hard time pulling off warm copper shades like this --it's gorgeous, but they seem to emphasize my yellow undertones and make me look tired :( So I'll wait til Spring 2016 to see what they come up with. At this rate, we'll see Spring 2016 collections like in Oct! Armani eye tints make my lids so itchy. I am put off by price increases just for the sake of it, especially that there is so much competition out there and I can probably find similar shades that are good quality for cheaper. The shade looks beautiful on you though! Wow, this shade is stunning! But the price increase is a bit ridiculous! I would not buy that palette at any price! The eye shade looks lovely on you but is too warm for me. If I really like something and it's of good quality I'll pay, within reason. No diamond face creams for me. But I am really put off brands putting out inexplicable price hikes, like Laura Mercier a couple of years ago. I still use her products I do have, but I haven't bought a new one in a long time. The really ridiculous also puts me off: I am not in the slightest interested in a Christian Louboutin lipstick or nail polish. Not cool that the prices keep going up... 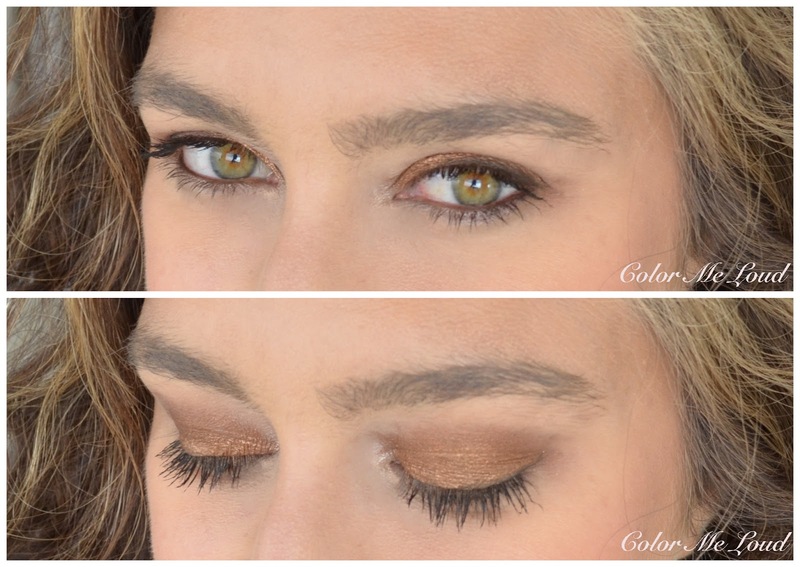 But I love that bronze gold liquid eyeshadow, it's just gorgeous! Whaaaat? 45 Euros? I mean, I own an eye tint and it is a beautiful product, but I wouldn't spend 45 euros on it. And the price of that palette absolutely shocked me.. that's a no-go, Armani! Your swatches reminded me I need to pick up Senso! That eye tint is gorgeous...I want! But those prices are outrageous and make no sense. I would definitely say that palette is NOT worth 130€. Who would pay that? Yes some of the eye tints have great formula. One has to be cautious though because some produce bad fall out. you always put a smile on my face, lol about Spring collections. The photos of Dior one is already out! Anyway I have seen that there are a few Eye Tints in the upcoming Holiday Collection but they look like lighter shades which doesn't work on me well but I am excited to check them out. You are so right with that! Oh there is something in them which also make me a little uncomfortable for the first half an hour. I don't know why. The same with the Dior ones which were out this season. I can't agree more. Especially because the regular ones cost 30% less, so there is no reason. you are so right about the price. I was shocked as well. I think you can find similar shades for your stunning eyes :-) I just purchased it for the blog. If it would be just for me, I would probably skip just to tell them something. this one would look beautiful on you but there are similar shades which are probably 1/3 the price. They anyway all look good on you lol. you are right, I lost track of the price hikes. luxury cosmetics is anyway ridiculously priced for exclusivity but this one is even beyond that point. I think Armani lost it all hahaha, I mean there is a point that it is anyway expensive but we somehow got used to it but this one is ridiculous. Especially since we know how the prices and quality of the same brand was a few years ago. The quality didn't change at all but prices are doubled. LOL about the palette. I would probably have tried it for the packaging and that coral shade in between if it would be half the price but not more. Laura Mercier was always very expensive in Germany so I didn't really feel the price increase lol. you are so right, the prices are beyond any comprehension. I purchased the last one for 135 Eur and afterwards months long I had to thing to myself why on earth I did something like that *sigh*. Hahaha Linda, you cracked me up with the jaw thing. You are very right, it is nothing too special yet the price makes no sense. I think it is exclusivity we pay for but even that has a limit for most of the people.